Jose Berrios’ post-Puerto Rico funk has finally come to an end. He broke a streak of four-straight starts with four or more earned runs by tossing a gem against the Cardinals. Jose surrendered one run on just two hits to go with 10 strikeouts over 7 1/3 innings. 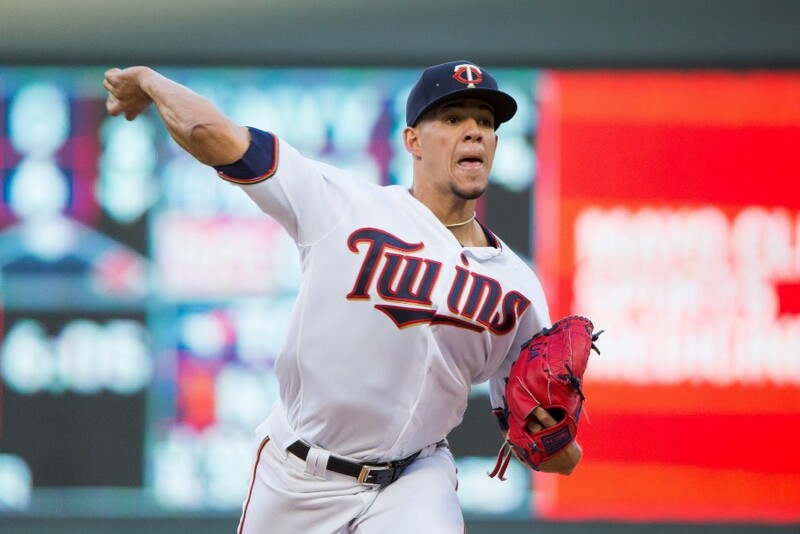 Berrios gave St. Louis a heavy dose of curveballs, offering it up 33 times among the 102 pitches on the evening. He got nine swinging strikes and five called strikes on that Uncle Charlie and the Cardinals only managed to put it in play three times. Altogether, Jose had 16 swinging strikes and topped out at 95.5 mph. This started out as another frustrating night for the offense, as Cardinals rookie Jack Flaherty held the bats in check over the first five innings, but they finally broke through. With two down in the sixth inning, the Twins strung together consecutive singles from Brian Dozier, Eddie Rosario and Eduardo Escobar to tie the game at 1-1. Logan Morrison led off the eighth with a double and scored when the Cardinals couldn’t properly field a Byron Buxton bunt. Maybe baseball is fair after all. One night after losing because they misfired while fielding a bunt, the Twins scored the go-ahead run because the other guys misfired while fielding a bunt. Bobby Wilson helped eliminate some drama by blasting a two-run homer to put the Twins up three runs. His last MLB home run was Sept. 21, 2016. The bullpen locked it down, as Addison Reed retired the only two batters he faced on strikes and Fernando Rodney pitched a perfect ninth inning for his eighth save. He hasn’t given up a run in eight appearances and has surrendered just two hits over that stretch. What Can Be Done to Awaken Slumbering Twins Offense? No worries here. Twins are 18-20 and showing signs of consistently putting together good games. I prefer being mildly disappointed to the nervousness of last year, when they were 21-17 and every time out we all wondered when the wheels were going to come off. Starters look good. Bullpen is reliable, if unspectacular. And the hitting will come around. Heck, Morrison is ready to top the Mendoza line. For me, I enjoy every game as they unfold and see real potential for a breakout, much like Cleveland last summer. Play ball! Not trying to jinx anything, but Fernando Rodney has quietly gone about his job since that early hiccup. The guy looks like a legit closer and I for one no longer get the shivers when his name is called. The bats weren't exactly on fire, but maybe the offensive spark from an unlikely source will get things going. Bobby Wilson of all people, wow. 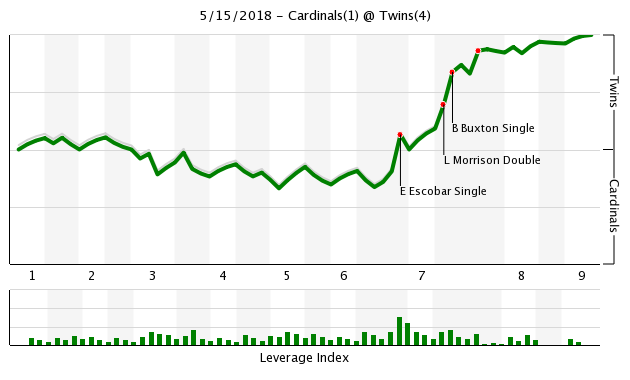 Escobar continuing to carry this team on his back with the game-tying hit in the later innings. Berrios, yeah that's what we needed! Break out the brooms this afternoon! Yes. I don't like the fact he's taking up a valuable spot in the bullpen. This tendency might be what drives nuts the most about the FO.There is no reason to be sacrificing a roster spot on a team that is supposed to be contending.I get that he's owed a bunch of money, but at some point you have to admit to a mistake (that they didn't make) and move on from it. There's a lot of eventual roster moves to be made with Santana, May, Sano, Polanco and Castro eventually coming back.Their hands will likely be forced with Hughes.
. And the hitting will come around. Heck, Morrison is ready to top the Mendoza line. I'm not really convinced of that.Only two of those are pitchers and a lot can happen between now and then.Assuming no injuries occur before then, it's much easier to send Romero down to make room for Santana and jettison one of the struggling bullpen arms to make room for May. When Polanco is activated, Petit goes back down.When Castro comes back, Wilson gets DFA'd.If the timing is right, Petit gets DFA'd to make room on the 40 man for either Santana or May.There are a couple of DFA options for bullpen arms as well (Magill and maybe Moya? ).I don't think their hand will be forced at all.At least no more than it is right now anyway. I don't know. I just hate to hear the phrase DFA. It makes me cringe as I think of what John Hicks is doing in Detroit or remember JT Chargois. I believe you are missing Sano's return in your projections.Assuming Sano comes back before Polanco, Petit will be optioned at that time. Nonetheless you are accurate in your worries that Santana and May's return do not, unfortunately, necessarily equate to the dumping of Hughes - although Romero is making it very tough for the Twins to send him back down. He pitched ok in the last outing, but why would you eat the salary on him to start the clock on a guy from the minors that is only going to have marginal impact right now? The bullpen is doing fine, overall. The decision point comes when Santana/May get healthy, until then I'm not all that worried about the 12th and 13th spots on the pitching staff. Not sure officially, but it should have been ruled a hit and an error.Essentially, every base gained has to be accounted for.And on a close play with a wide throw, the official scorer typically gives the runner the benefit of the doubt. In this case, Buxton should have been credited with a hit, and Gregerson should have been charged with the error allowing Morrison and Buxton advancing an extra base each.